A Partner Program is a financial arrangement that we have made with a business. We refer to the financial agreement as a “program” and the business is called a “partner” of Northpoint Christian School. Whenever you buy a product or purchase a service from one of our partners, Northpoint Christian School receives a portion of your purchase. Importantly, you do not pay anything more for your purchase and most businesses accept cash, check, or a debit or credit card for payment. You can live your life and help Northpoint Christian School at the same time. Through our Partner Programs, you can shop for most anything, purchase groceries, prescriptions and gas, travel, and use your computer to search the internet. If you are a business owner, consider using the credit card processing arrangement of Northpoint Christian School and receive free advertising and other benefits. Look further at the different programs to see how you can help Northpoint Christian School. We are seeking to expand our Partner Programs to involve other businesses, so contact the Development Department if you have a suggestion. Through our credit card processing partners, any business owner that accepts debit and credit cards from customers can have a portion of their credit card processing fees donated to Northpoint Christian School without writing a check, paying cash, or buying anything. Using WorldPay US, one of the largest processors in the industry, we can beat most any processing rate, the business owner may continue to use his current credit card processing equipment, and there is no obligation for the business owner to purchase anything. We will promote the business in our yearbook, telephone directory, sports and play programs for free. Further, we will pay 20% of the money we receive to a church or charity of the owner’s choice. Northpoint Christian School receives a portion of the net income from the processing fees of our partners. Over the past few years, the amount received from this program has been over $40,000. Contact the Development Department for more information. The GoodSe arch Program uses a search engine supported by Yahoo! to permit you to search the Internet, with high-quality results. You will need to register Northpoint Christian School with Good Search as the charity that will receive benefits through your searches. Further, make GoodSearch the homepage on your computer. Northpoint Christian School will receive about 1 cent for every search, which is approximately 50% of the dollars paid to GoodSearch by its internet advertisers. Through the GoodShop program, you can purchase goods online from selected retailers of most all types of goods. You will first need to register Northpoint Christian School as the charity of your choice. Northpoint Christian School will then receive from the merchant a percent of the amount that you pay for your purchases. Northpoint Christian School will receive between 3% – 20% or more of the total sale, depending upon the retailer and the product. Go to www.goodsearch.com and find the GoodShop tab for more information. The Kroger program is easy to use. This program is so simple. Just register online your Kroger Plus Shopper’s Card one time and swipe it every time you check out at Kroger. 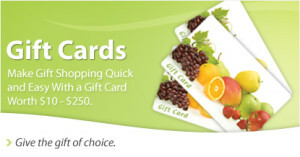 If you do not have a Kroger Plus Shopper’s Card you can pick one up at the customer service desk at any Kroger. Then skip to step 6 below. If your Kroger Plus Shopper’s Card is not registered online with Kroger skip to step 6 below. If your Kroger Plus Shopper’s Card is already registered online with Kroger skip to step 1 below. Click on Community and then Community Rewards across the top section of the page. You are now registered–Thank you for supporting Northpoint Christian School. If you have misplaced your Kroger Plus Shopper’s Card you can use the phone number associated with your Kroger Plus Shopper’s Card as your Alt ID. If you have any trouble with these steps, please call the Kroger Help line. They are very easy to work to get your Kroger Plus card registered. Through the Off ice Depot Program, anyone can go to an Office Depot store to shop. When you pay your bill, give the check-out person our school number, 70113467. Northpoint Christian School will receive 5% on qualifying school supply purchases and a smaller percentage on all other purchases. Last year the school purchased school and office supplies and products with the credits. Through the Target REDcard Program, you can use a Target Visa Credit Card, a Target Credit Card, or a Target Debit Card to shop in any Target store. You will need to designate Northpoint Christian School as the recipient of the donation. Northpoint Christian School will receive 1% of your purchases when you shop at Target. Further, the school will receive 1/2% when you use the Target Visa Card at anywhere Visa credit cards are accepted. Through the Box Tops for Education Program, General Mills has placed special Box Tops for Education logos on many products. Before you throw the boxes and containers into the trash, cut off the box tops. Elementary students should bring the box tops to their teacher to earn class prizes. High school students should bring the box top logos to the Development Office. In addition, cut or save all Campbell’s Soups labels and Tyson chicken labels and the UPC bar codes from all Community and Private Reserve coffee and tea products before you throw anything into the trash. Place these labels in specially marked bins outside the Elementary Office. Northpoint Christian School will receive money and/or products from the submission of the box tops, labels, and UPC bar codes to the redemption department of the companies. Last year, the school used the dollars received from the redemption of box tops and Tyson chicken labels and points from Campbell’s Soup Labels to redeem prizes for the students to purchase in the AR Store. 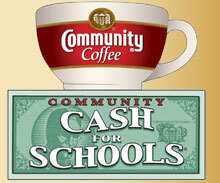 Finally, through the Community Coffee program, the school receives money and/or products, so place the labels in the specially marked bins outside the Elementary Office.